Pancrase Mixed Martial Arts is honored to announce the following black belt promotions. 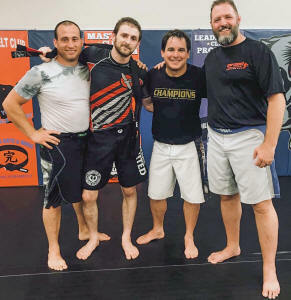 Jerry Roeder is promoted to Senior Professor, 5th dan black belt of Pancrase MMA. 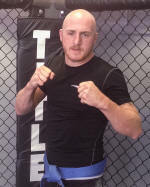 James Wright is promoted to Professor, 3rd dan black belt of Pancrase MMA. 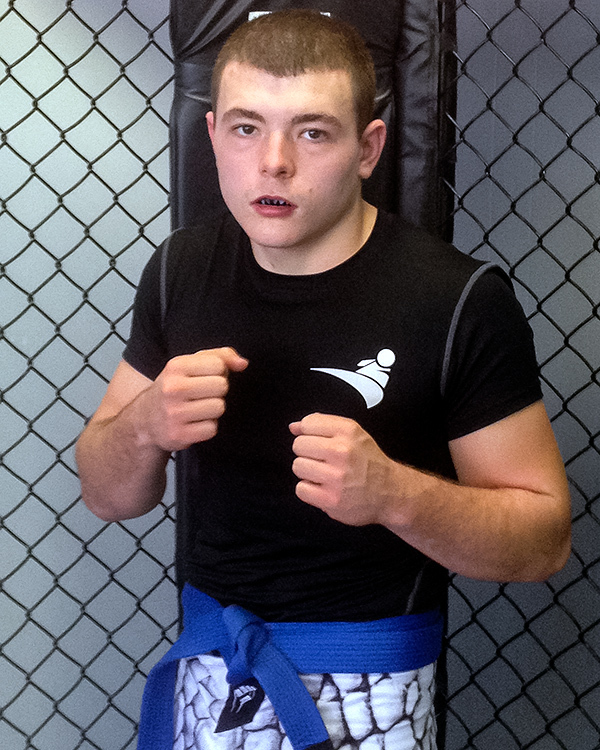 Jeff Morris is promoted to 2nd dan black belt of Pancrase MMA. The collective knowledge within this group represents decades of MMA experience in the dojo, on the mat, in the cage, the street and even the battlefield. Their dedication to the study of martial arts and the ability to impart this knowledge to others is commendable. Pancrase MMA is pleased to announces the following belt rank promotions. Congratulations! 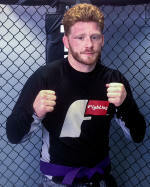 Joel Collins is promoted to purple belt of Pancrase MMA. 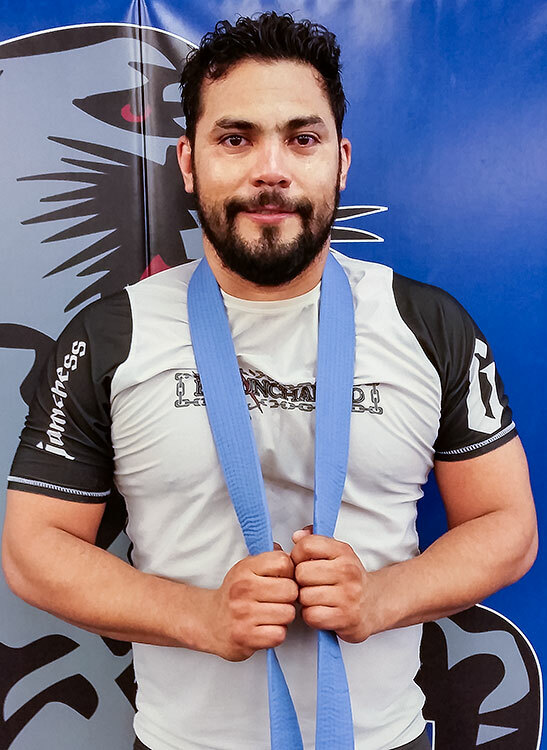 Gustavo Duarte is promoted to blue belt of Pancrase MMA. 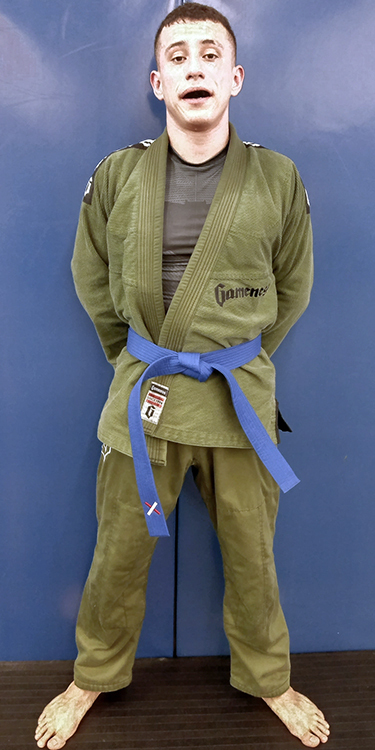 Joaquin Bonel Mariscal is promoted to blue belt of Pancrase MMA. 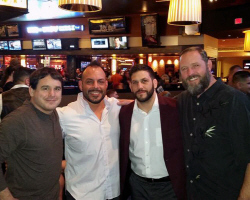 Had the honor to promote Brian Mendez to Black Belt in Pancrase MMA. 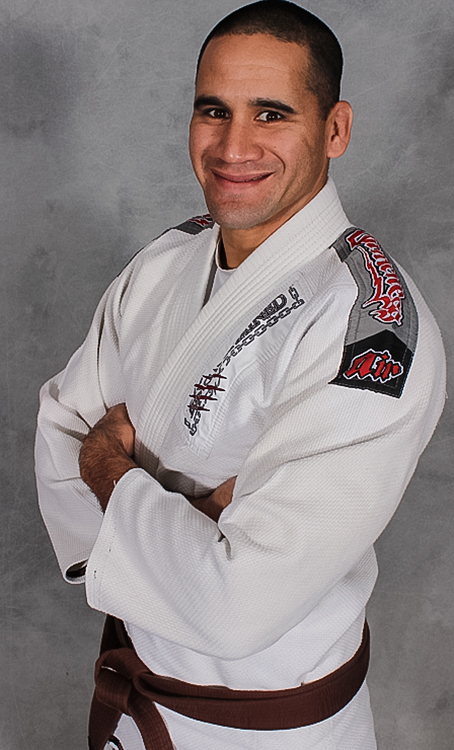 Brian Mendez is a former Marine Sniper and Martial Arts instructor with multiple combat deployments. 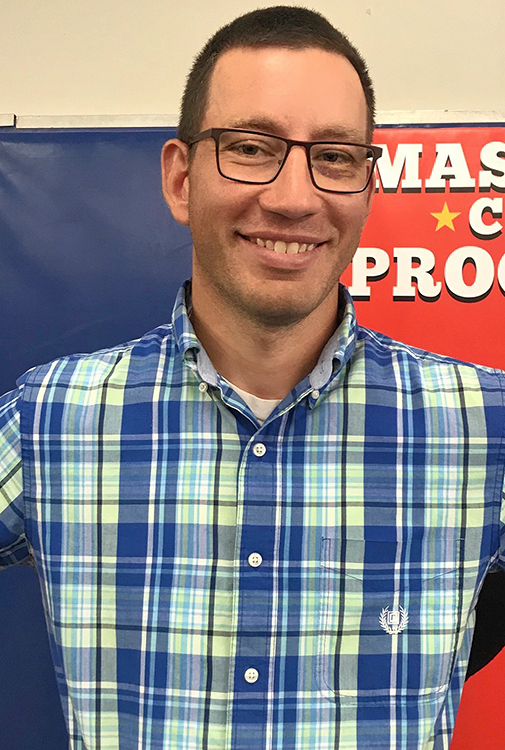 Brian is a life long martial artist with black belts in Brazilian Jiu-jitsu, Judo, and the Marine Corps Martial Arts Program. 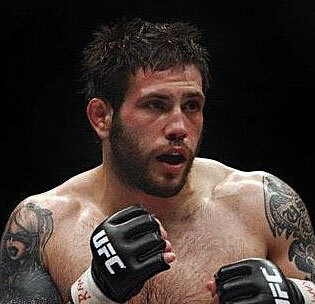 Pancrase is honored to have him on the team! Congratulations, Brian! 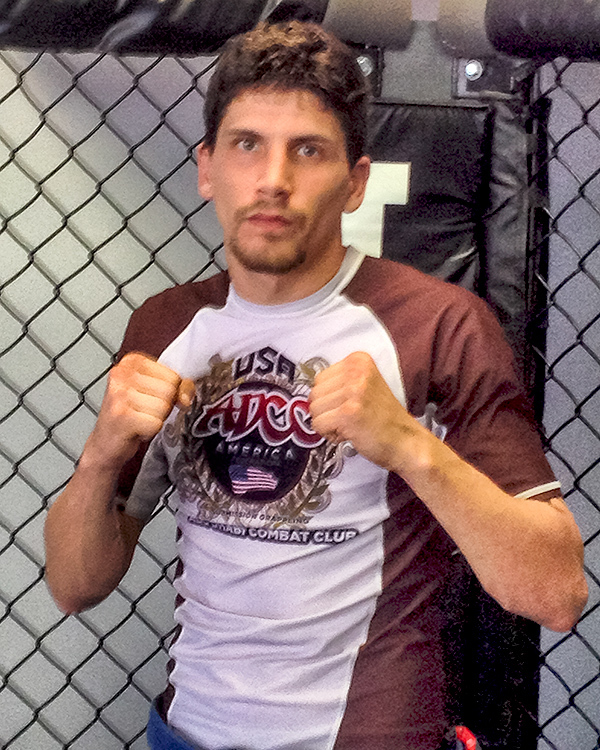 Brian is the head instructor at San Pedro Fight Club at 505 S. Pacific Ave Suite 101San Pedro, California. The schools specializes in Brazilian Jiu-Jitsu, Judo, Military Combatives and Pankration. We believe in self-defense first! John Suniga to Brown Belt of Pancrase MMA, effective July 29, 2016. 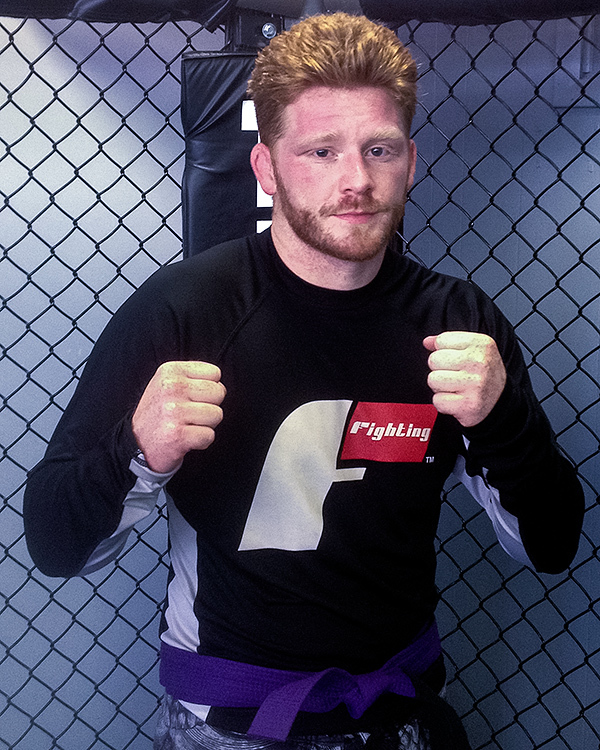 James Bridger to Purple belt of Pancrase MMA, effective July 22, 2016. Congratulations on behalf of the Pancrase Promotions Committee! Congratulations to Pancrase Black Belt Luigi Fiorvavanti for his gold medal win at the IBJJF Chicago Open - Heavyweight Masters Division. 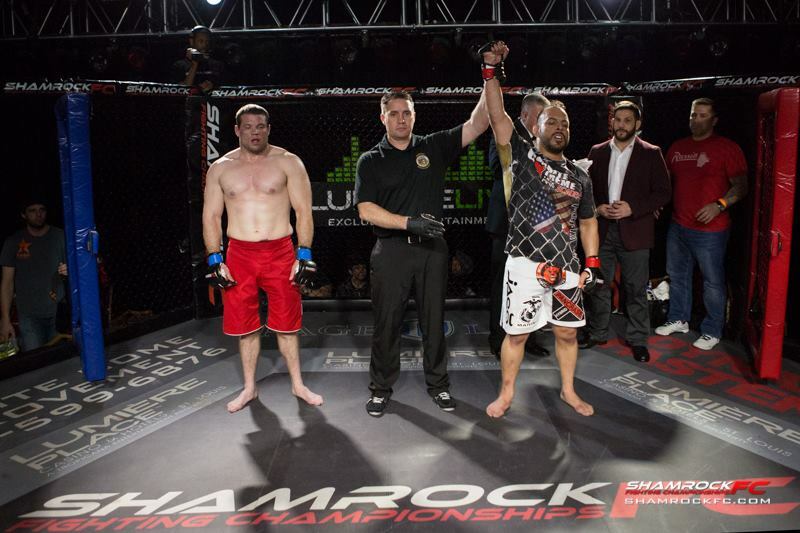 Shamrock Fighting Championship, Lumiere Casino, St. Louis, MO. 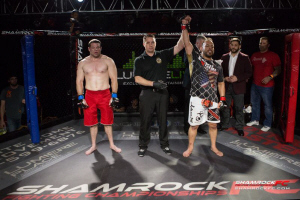 Jan 30, 2016 - Pancrase black belt Enrique Watson improved his professional record to 5 - 0, with a first round TKO win over opponent Michael Gaston at Shamrock FC in St. Louis, MO. 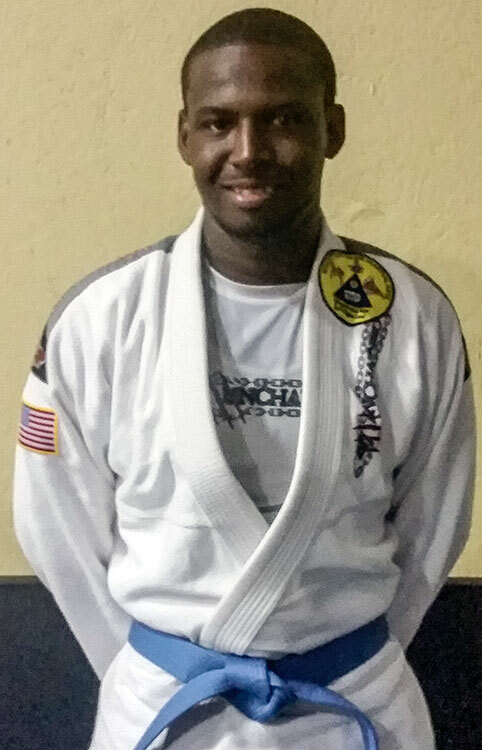 Following his main event victory, Enrique Watson was promoted to second degree black belt by Professors Jerry Roeder and James Wright. 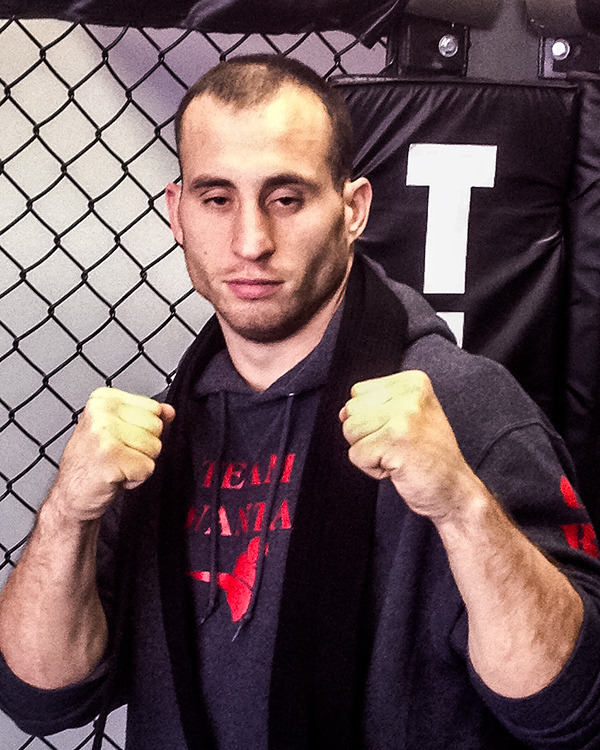 Enrique is the owner of Combate Xtreme MMA Academy based in St. Robert, MO. He is a Bellator MMA veteran, a former US Marine and is about to accompany his wife, still on active duty, to Iwakuni, Japan where he will continue to train Marines in Pancrase. 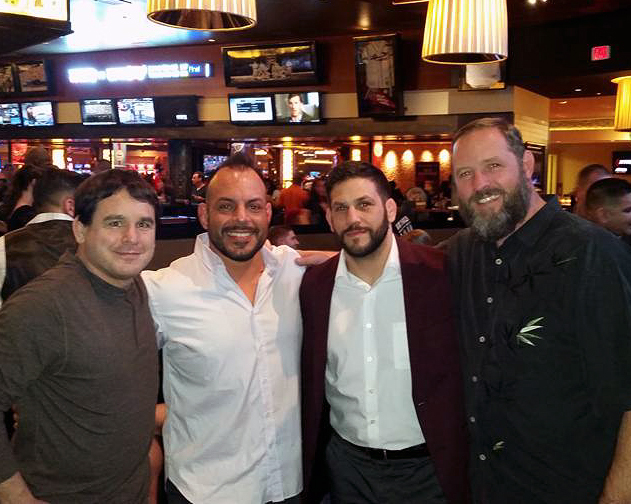 In this photo, Enrique (second from left) is joined by Pancrase black belts (left to right) James Wright, Luigi Fioravanti, and Jerry Roeder. The Pancrase Promotions Committee is pleased to announce the promotion of Chaz Valentine to Brown Belt of Pancrase MMA. His rank is effective July 01, 2015. 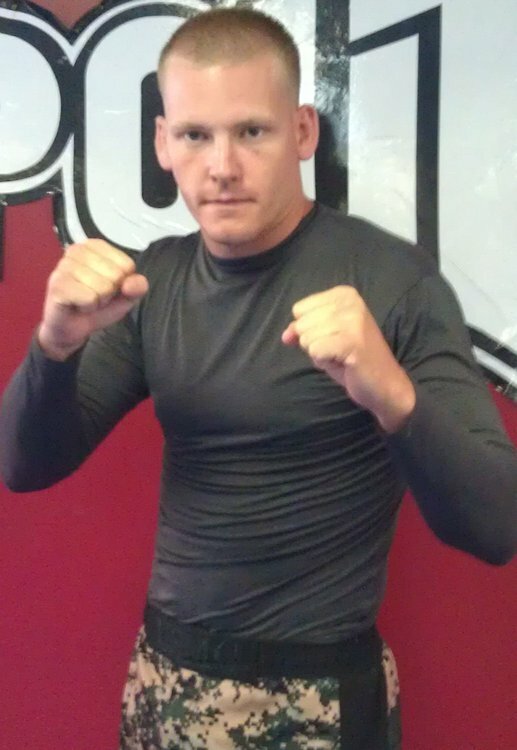 Mr. Valentine trains under black belt James Wright in Jacksonville, NC. The Pancrase Promotions Committee announces the following belt rank promotions. 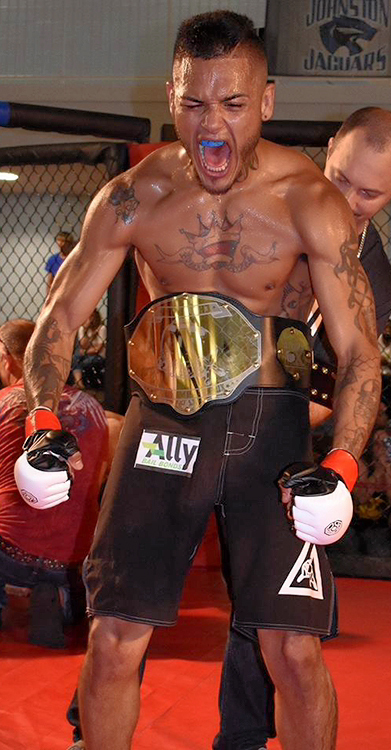 The Pancrase Promotions Committee is pleased to announce the promotion of Andren Bellamy to Blue Belt of Pancrase MMA. His rank is effective September 10, 2015. 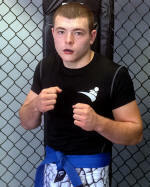 Andren trains under black belt James Wright in Myrtle Beach, NC. The Pancrase Promotions Committee announces the following promotions to Blue Belt of Pancrase MMA. 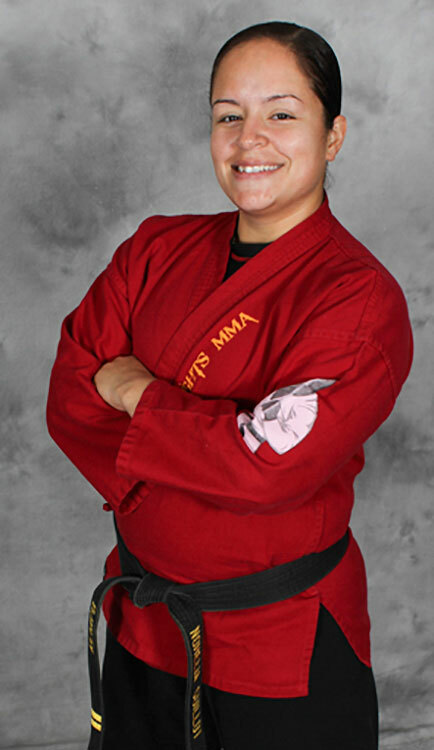 Nohelia is a Certified Black Belt in Kempo Karate and a Blue Belt in BJJ. She as competed and won Karate and grappling tournaments. She has competed in empty hand forms, weapons forms, and point sparring. 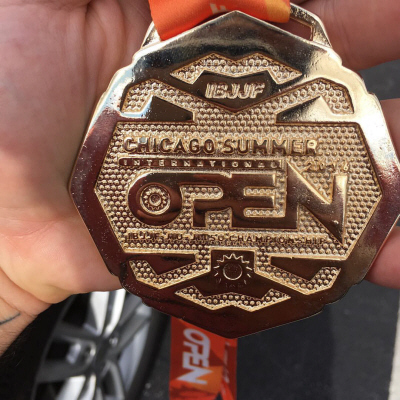 In addition to her success in karate tournaments she has placed and won grappling tournaments in both gi and no gi divisions. Recently, she had her first amateur MMA fight where she beat her opponent in the first round by referee stoppage due to strikes. 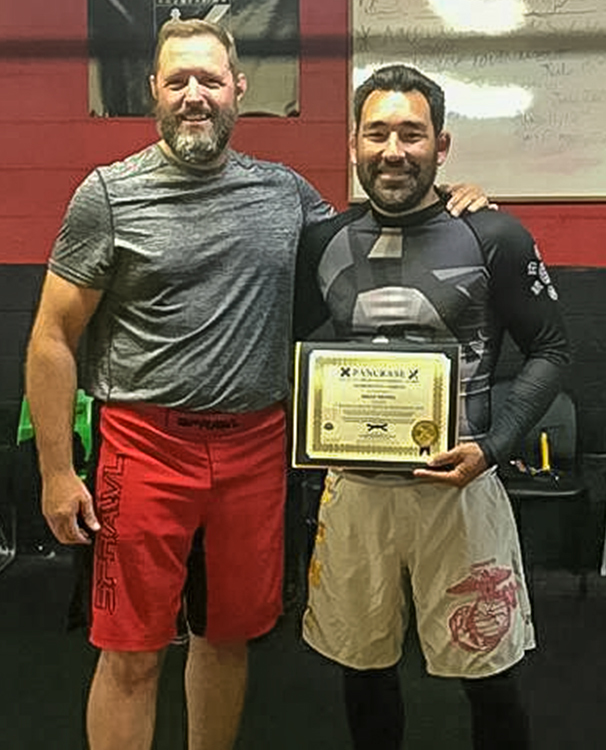 Congratulations to Sensei Nohelia. Nohelia was promoted by Black Belt James Wright. 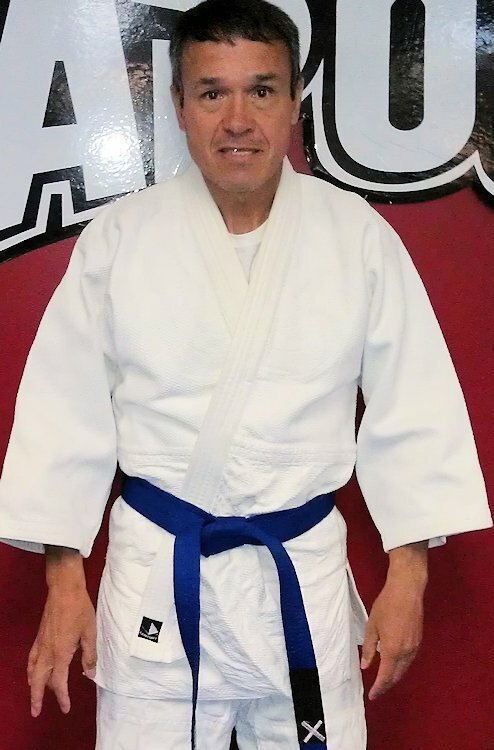 Willian is the first Blue Belt at our Myrtle Beach School - Martial Arts 360. He was promoted last Saturday by Professors Jerry Roeder and James Wright. Missouri based Pancrase fighter Luigi Fioravanti traveled all the way to Astana, Kazakhstan for a July 3rd, M1 Challenge 59 bout against Russian fighter Sergei Kovalevfor. Fioravanti, a UFC veteran and 2nd degree Pancrase black belt, took the win by rear-naked choke at 01:56 of round two. 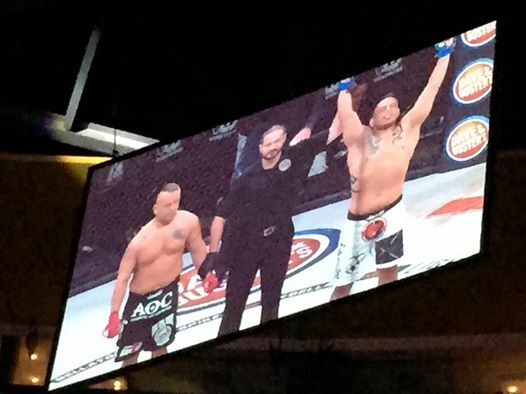 BELLATOR 138 - Pancrase MMA Fighter Watson Wins Again! Congratulations to Pancrase fighter Enrique Watson for his impressive win last night at Bellator 138 in St. Louis, MO. Watson, a first degree black belt, defeated opponent Kain Royer by rear choke at .41 seconds of round one.